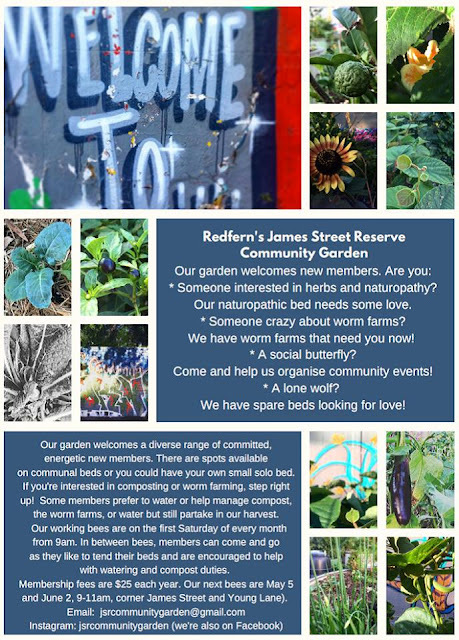 Join us at our last working bee in the garden before spring. The bees are out loving the cosmos. Snow peas are dangling. Blossoms are bursting on the citrus. 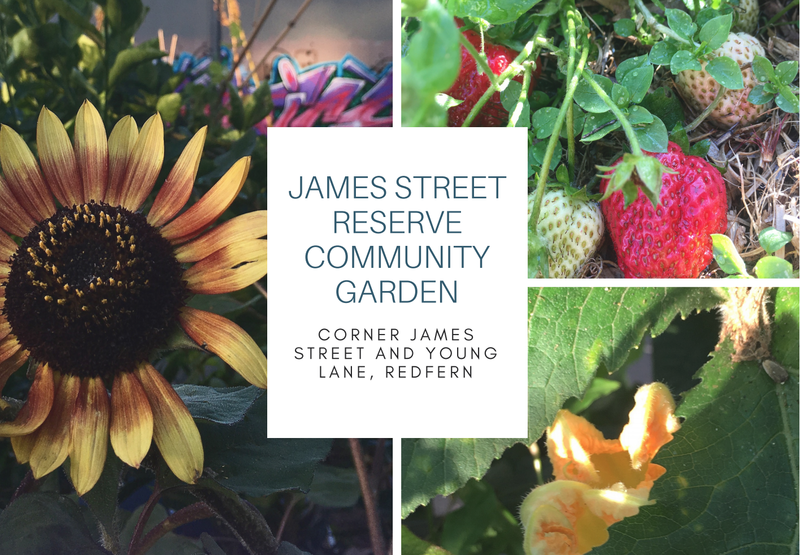 Come along on Saturday, August 4, from 9-11am at the garden on the corner of James Street and Young Lane, Redfern. Our focus will be on planting seeds, pruning and weeding. New members welcome: pop by to find out what we do and how you could be involved. Love the new look blog, Stephanie!